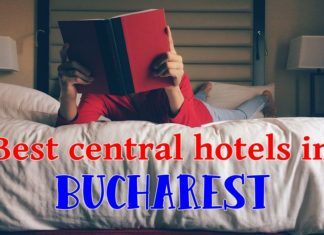 If you want to move to Romania or just visit the country, but you don’t know anything about it, you might be interested to check out a book about Romania if this blog doesn’t manage to answer all your questions. The advantage of a book (especially if you choose the physical product) is that you can carry it around at all times and it has all the info you need in an easy to access structure. 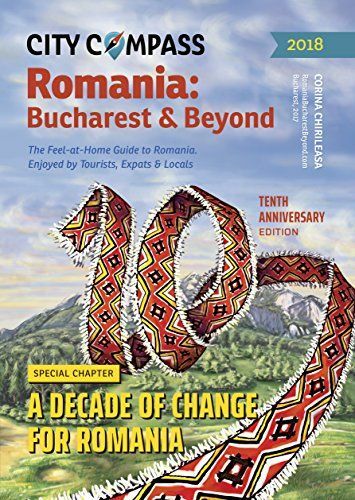 And today’s article will help you check out 5 of the best books about Romania, instantly available on Amazon, where you can learn a lot about this country, from its history to how things are today. In other words, each of them will provide extremely useful information about living in Romania or traveling to this beautiful country. 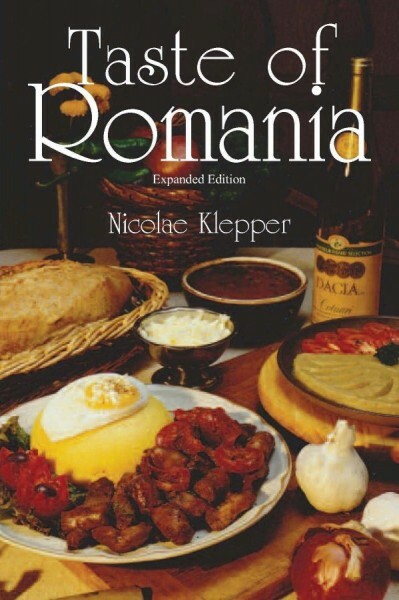 This is a really complex book about the life in Romania. 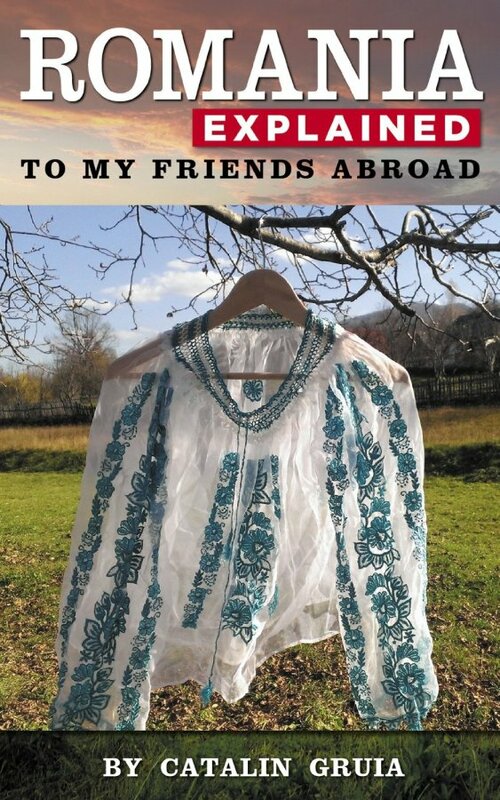 Featuring everything from finding a place to live, navigating the nightlife, discovering the cuisine and peasant markets, or living green to Romanian art and more, this is a professionally written book with a new edition each year – so it’s always up to date. You can find the latest City Compass edition here. This one’s only available in Paperback format and might be slightly outdated since it was published in 1999, but things haven’t change drastically since then. Two full-color sections describe the country’s extraordinary religious architecture and its many outdoor activities — from mountain hikes and skiing, to bear and wolf tracking. 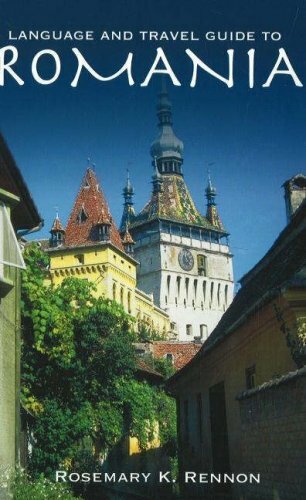 This comprehensive guide reviews all the top hotel and restaurant options for every taste and budget, and includes informed background on Romania’s history, wildlife, literature, music, and, of course, Dracula. Click here to find out more. A Romanian’s approach to describing Romania for people abroad, interested in either moving here or visiting. See Romania from a Romanian’s point of view: the author has been working with National Geographic Romania for over a decade, so he’s somebody who’s seen a lot of our country and has some great stories to share. As described by the author, “Romania explained to my friends abroad is not an exhaustive, academic paper on Romania; nor is it a travel guide. 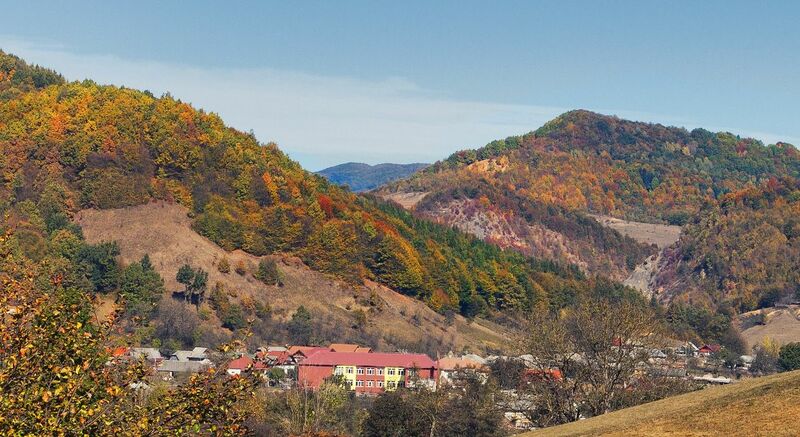 I’m a simple journalist and this is just my own private Romania – a subjective puzzle of all the things I know from experience to be interesting for foreign tourists.” You can check it out here. A book that’s only available in Paperback format, Language and Travel Guide to Romania is written by Rosemary Rennon who discovered the country back in 1993 and apparently fell in love with. The book features a lot of information about Romania and thanks to its language section, it’s extremely useful for those willing to practice a bit of Romanian and learn some basic words and expressions. You can check out the book here. You can’t know everything about a country unless you know a lot about the country’s cuisine, and this book features 150 mouth watering Romanian recipes that you will surely fall in love with. The advantage with this book is that you don’t really have to come all the way here to test the delicious food it shares with its readers! Check it out here. And a bonus title for you, the Michelin Romanian Map. A must have if you plan a trip to Romania, as this updated map gives travelers an overall picture of their route, with practical road and travel information; and city maps containing extensive street indexes orient them quickly so they can find their way to their destination. Click here to see it. I am planning writing my own eBook about Romania and I have already started writing down the chapter titles and making plans, but it’s still a long way left until I’ll be able to publish my book about Romania. 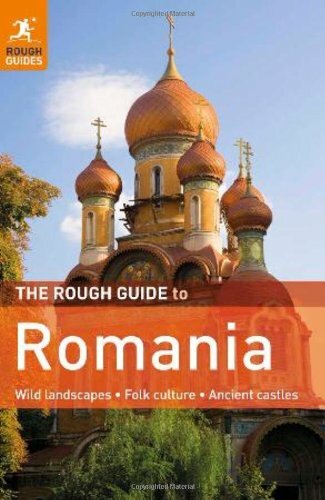 Until then, the titles recommended above remain the best if you want a complete, detailed guide on Romania and you want it now! Nice collection! Especially the bit about old Dracula! Great minds think alike. I have been working on an ebook about Malta. Nothing huge. I am like 90% done. It’s great that you are doing an ebook !!! Good luck with it. Thanks, Kem! You already have the experience, being a published author, so it will be easier for you. I have mine in baby wraps, so it will surely take some time before I’m there, but there’s no real rush! Darn! I am #2 again–ha, ha! From the pictures, You Tube videos, and your site, it looks like Romania is a country which offers much to the US retiree (cold winters not withstanding;-) The only thing, I think which is worrisome are the stray dogs. Here in the USA, dogs have a great life. We Americans just love our dogs (I have a cat, though;-) The thought of packs of dogs roaming the streets is a little unnerving. Of course, most South American countries and cities have a lot of stray dogs and cats. Buenos Aires is notorious for their “poop problem”. Thank you for posting this list of books. I am sure they are most informative. The story about the dog shooting his owner really made me laugh! 🙂 But on a more serious note, it’s indeed crazy what this much freedom can lead to, and we don’t have that (or the concept that we need fire arms) here in Romania. I will look into the requirements for receiving residency here in Romania. I believe it shouldn’t be complicated, except for maybe a bit of bureaucracy, but I will look into it for sure! Regarding the stray dogs, the problem is no longer as big as it used to be. In my city, for example, I haven’t seen a pack of dogs for years and even stray dogs are more and more difficult to be seen. Central areas of the cities are generally clean of stray dogs and I am sure that as years go by, things will get even better as the government is investing (slowly, but it does) in keeping this under control. The poop problem is in Bucharest too, because many people here don’t pick up their dogs’ poop and leave it on the street. In areas with a lot of flats (which is most of Bucharest), you’ll see more than you’d like to. Hopefully this will also change soon as people understand that they have to clean after their dogs (and some are already doing this, both young and old). On an other note–totally unrelated–do you have window air conditioners in your apartment, or will you do with just fans? Also, I’ve noticed in pictures of apartments in Romania, there doesn’t seem to be any screens in the windows. Doesn’t that mean a lot of bugaboos gain unwanted entrance in the summers. I read that Oradea has a lot of moskies buzzing around (because of the river flowing through town), but none of the apartments I saw online had screened windows. Am I missing something? Thanks for your great and informative blog! It tends to get really hot in here during the summer, so we will have to install air conditioners in the apartment. We haven’t done so yet because we were low on funds and winter was coming anyway, but I consider them a must. I believe that all houses and apartments with double pane windows (which are newer or renovated ones) also have window screens. Older apartments and houses indeed have no protection and yes, this means that a lot of bugs make their way in. However, I am sure that it’s pretty easy to find apartments with window screens (if not, installing one is about $30).